The Jesmond Jam is the annual tournament held at the Jesmond Disc Golf course each year. On October 1st 2017 the Newcastle Disc Golf Club will be hosting the 7th Annual Jam. 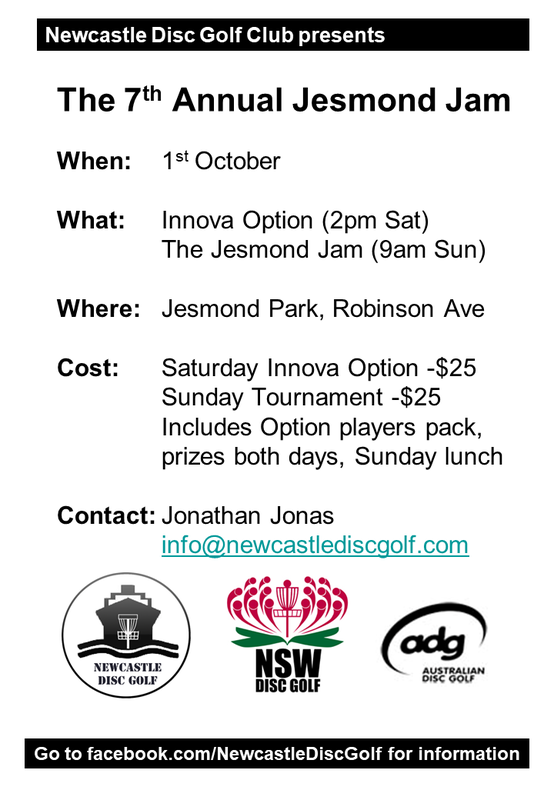 1st October Sunday: The Jesmond Jam, on the 4 different tournament layouts.